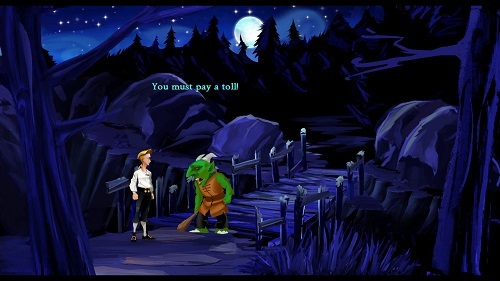 Monkey Island has one secret but how many has Wirral Council? 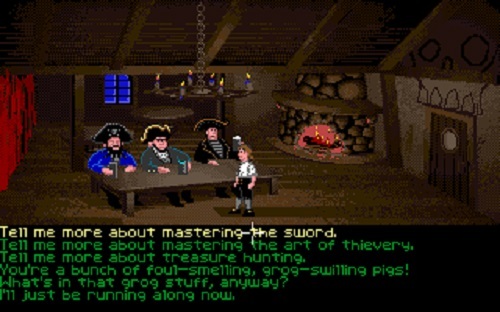 Monkey Island was a video game from my childhood which perhaps I played too much. 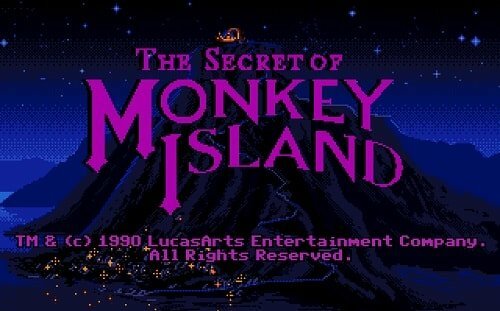 Monkey Island has but one secret but how many has Wirral Council? However, this Employment Tribunal over the last fortnight followed the misadventures of Alison Mountney as she struggled to defeat the plans of Graham Burgess and his motley crew and win the heart of Simon Mountney. This involved the mysterious Wirral Council and its impenetrable secrets! Secret recordings of conversations you’re not allowed a transcript of! Secret bundles and witness statements the media isn’t allowed a copy of! Memories so secret that it seems half of the Senior Leadership Team has a new catchphrase, “I don’t recall!”. Yes this is a tale so long, it’s in five sagas (although it could probably be more). It starts with The Secret of Wirral Council, followed by Wirral Council 2: Graham Burgess’ Revenge, The Curse of Wirral Council, Escape from Wirral Council and finally Tales of Wirral Council. However, flippancy aside, without spending hours typing up what was said (and I was only there for the last week) I couldn’t do it justice. There’s just too much! 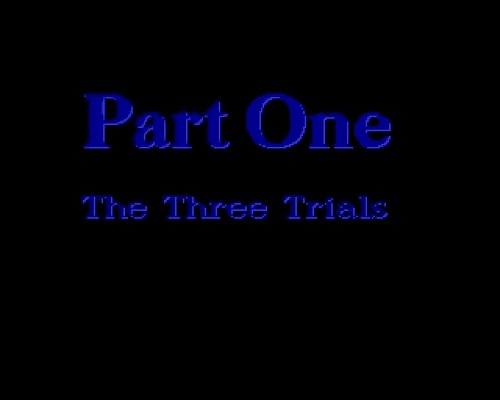 This will however be a far more entertaining tale if I tell it in the style of Monkey Island. Below decks on the ship Wirral Council, Mandy Gorman was tired of being picked on by her crewmates because of her disability. As far as she was concerned just because she had no arms, didn’t mean the others should joke about it! So she secretly recorded her colleagues and threatened to expose how badly the ship was being run at a court-martial. Cllr Adrian Jones the Cabinet Member didn’t get a mention! Arrgh, said the senior leadership team, let’s get someone to write a report! So Malcolm Flanagan wrote a report. He found that behaviour was below that to be expected of the crew, but senior management decided that the result was that there would be no disciplinary action. Mandy Gorman (who was the local UNISON branch equality officer) ended her dispute by a COT3 agreement. Presumably Mandy was paid pieces of eight. Arrgh, said Alison, you’re just doing this to me because I blew the whistle on people being paid too much for extra work in determining who should run the ship! Arrgh, said the senior leadership team then promptly asked for another report. Arrgh, said Alison, you ignored my whistleblowing and didn’t dock the pay of a crewmate when I pointed this out. Ooops, said the senior leadership team, yes we ignored you, but it’s nothing personal! Arrgh, said Alison, in that case I want a court-martial of my own! OK, said the senior leadership team, and set a flag message to summon Mr Moore who worked on a ship called Eversheds. Captains of other ships were assembled so that the decision-making was independent. The whole court-martial was held on a different ship. Over two weeks they all argued over it and it seemed they argued everything but the colour of the sky. Then on the last day the court-martial announced its decision. Arrgh, the Judge said, where be Alison? Simon said she was not there. Arrgh, I will continue then said the Judge. Our judgement is she still has a job, that Wirral Council did some bad things and didn’t do things they should have. But arrgh, can’t everyone just be friends again? That is our unanimous decision. Case over. But was it over or was it just the beginning of something else? But aaaargh. Don’t ee imagine that local customs will nab any top smugglers – Brighton Street’s broken-toothed, bloodstained blackmailers n’ buccaneers. It’s too cosy. Some say they all visit High Barbary together n’ drink from the same bottle of rum. It’ll all die a death thinks I… and in quick order… when the sheer depths of corruption gets telled to these wide-eyed cabin boys who rose above their stations. And if anybody *Labours* for too long under the false impression that there be a remedy …ha-haaaargh, and our institutions are fit n’ clean and shipshape… pahh!! If they makes a nuisance of theirselves much more… they’re askin’ to be run through with a rusty cutlass n’ keelhauled on the next high water. Brighton Street IS monkey Island especially when the Council meets! And one day that ship will sink! £80,000.00 pieces of gold later Long Long Long John. How effing tall are you? And more to come, or should I say go to Eversheds or will “The Shyster” need his boy barista from London in his Saville Row and smaller watch than “Sir Git’s”. Wish I’d had my honeymoon on Monkey Island instead of Magnetic Island on the Barrier Reef………NOT! I used to be 6’5”, but over time I’ve shrunk, perhaps just over 6′ now? I just don’t get them John…. you hang around them a lot…how do they think? “Highbrow” and I blew the whistle they lied to us thinking we would go away. Five and a half years later they have lied and lied and lied and now the dopey leader has lied again saying he would write to “Highbrow”. Why wouldn’t they just do the right thing and admit to us they were wrong and we could all just go away? Beverley Edwards told them, Grant (Chocolate Teapot) Thornton told them, GIAA told them and even A4E had been telling them before I even started at Wirrabiz. Then someone got Dave Garry to write a croc of **** report and hid Beverley Edwards. How can people like Joe Blott say whilst under oath that they have improved after Dill’s latest lie of 19 December or are they blaming the mailroom again? Go on Joe you unangry man tell us. It’s above my meagre pay grade to know how they think! As to comments about democracy (or lack of it), certain politicians are not used to people standing up to them? Listening to the radio at lunch time. There usual interview prerecorded with clowncillor nobody so that no one could actually question him. They don’t like being questioned John. Then John the coup de gras for Adderley and Basnett’s joke of a Chamber Potty. The interview or should I say reading was about car parking so they couldn’t wheel out “Phil the Very Very Very Very Slimy, Elusive and Deluded Dill” he is busy writing to “Highbrow”. Have you worked out Adderley and Basnett’s Chamber Pot incompetence yet. The pair of clowns wouldn’t know what day it is. Other than it was a day they were being massively overpaid. 1 March is a Wednesday you cheeky little boy. How did Ecca, “Phil the Very Very Very Very Slimy, Elusive and Deluded Dill” and “Fartin Lobsterpot” get them all to stop commenting on blogs? I call some of them liars and they accept it. I call them scum bags and they accept it. I bet some of the pigs wouldn’t let me call them late for dinner. I quite miss John comments from Anony Mouse and that other goose I can’t remember his “Suedonhim”. Who did they give that £80,000.00 job too behind closed doors? John, can you tell me more about what AM actually blew the whistle on and where Retired Bradders and Diane Kelly come into this? What actually is the “canvassing” that is referred too? Is it a paid job? During the Employment Tribunal it was said that what Alison Mountney blew the whistle on was to do with people being paid for work they hadn’t done to do with the elections. There’s further detail on that in the reasons given for the judgement, or Part 2 and Part 1 of the cross examination of Mr Tour, but Diane Kelly if I remember from what was said was at the time a trade union representative at Wirral Council. Each year, Wirral Council did a canvass to update the list of who can vote in elections (or referendums). If there was no response from certain addresses, someone would be sent round (canvassing). If they got a reply on the doorstep from an address that hadn’t replied to the canvass, they would then ask them to sign to state either that nobody at that address was eligible to vote or the names of those who could. Alison Mountney stated that some people were forging canvassing signatures and getting paid for work that they didn’t do as the work was paid on a signature basis. The first time she raised this it seemed to get forgotten about. The second time it was raised, it was taken more seriously. There was a second part of Alison’s whistleblowing to do with Returning Officer and Deputy Returning Officer fees again to do with work to do with the elections. To be clear, both the canvassing and DRO/RO roles were additional work undertaken by some Wirral Council employees that they were paid extra for. Please please never sail into Kev and Stella’s Stinking Stagnant wirral Waters it might be according to Phil the Very Very Very Very Slimy, Elusive and Deluded Dill’s” wirral’s jewel in the crown but don’t forget he is “The “Lying Tool” in wirral’s Crown”. But they are a law unto themselves. I am a bit confused about Bradders and Diane Kelly, I presume Kelly is on the tribunal, also, the judge was from wirral and he said he didn’t know who Burgess was mmmmm and wouldn’t call him even though his facts were different to “The Shysters”. Rats in a “wirral” sack. Dianne (with two n’s) Kelly was a “Unison full time Rep”. That’s in quotes because this was what it said on the tin, but by and large, very little representation is ever done unless it furthers the Unison full time rep’s own designs. So the modus operandi was completed in spades when she retired from her full-time regional rep’s role and got a job at the very same court which was hearing a Wirral Council case in which her name was mentioned. To add further detail, some questions were raised about her closeness to senior people and that it was a ‘cosy’ arrangement. I and others who know about these things was not surprised to hear this emerge. To his credit, the judge did pick up on this, and state that it was a wrinkle that needed ironing out, but I had to go and pick up my lovely children, so in the afternoon, I missed the Judge’s explanation for why the case should continue, unconflicted by the fact that Dianne Kelly, whom no doubt, had represented or accompanied people to this very building in the past, had *somehow* secured a place on the bench via which she could mete out justice to lesser people than her esteemed self. Other Unison people have prospered at Wirral Council in the past. Graham Burgess who jumped ship and into the sharks’ pool when he became a CEO at Blackburn. Garry Owen, when he moved from one side of the desk representing disputing members to the other side of the desk, the side of badness, to stitch them up using the knowledge he’d learned on the old, now forgotten side of the desk, or the side of goodness. And Dianne Kelly. See above. “Forecasts show Wirral will have three times as many 85 year olds as new-borns by 2030 – we also have pockets of extreme deprivation alongside some of the wealthiest suburbs in the country. Well if I was on that Birkenbloodyead constitutional thingy me bob I would employ those nice doormen from the clownhall to keep “Phil the Very Very Very Very Slimy, Elusive and Deluded Dill” out of town. Let him stay in West Kirby/Hoylake with his genius “Fartin Lobsterpot”. The man is a hippo crit and LIAR to boot. Have you written to “Highbrow” yet? You’ve missed Chrissie and Valentines Day since you said in public you would write but it is his birthday in early March. John, did they give that £80,000.00 job to “Fartin Lobsterpot” or are they going to spend the money on a secret Holliday? A secret Halliday has now plugged its nozzle into the money trough James. Battle my **** did you see the yellow bellied coward of a liar run out of that joke of a public Improvement Board meeting when the GREAT Martin Morton stood up to speak. The clown ran into that other liar Adderley at the door making their escape. Do battle he can’t even answer “Highbrow”. If he did it would be a croc of crud. Where to this year “Phil the Very Very Very Very Slimy, Elusive, Lying and Deluded Dill”? Over the next four years, the council is proposing to save £38 million by renegotiating contracts, improving the way money is managed and invested, and getting the best possible value from every pound available. Unlike Wirral “Funny” Bizz and Martin Morton’s case will they bother signing these contracts or is “Sir Git” “The Shyster’s” watch too heavy to lift a pen to put to contract. I wonder how many elections, by-elections to pay for that beast. He can’t afford to leave sadly with those monthly payments. It was the watch or a street in Tranmere.